Turns out the Moon is made of titanium! The map, which combined observations in visible and ultraviolet wavelengths, revealed the valuable titanium deposits. 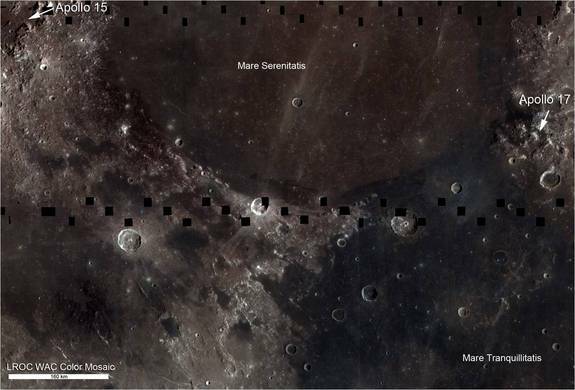 These findings could shed light on some of the mysteries of the lunar interior, and could also lay the groundwork for future mining on the moon, researchers said.